That may sound like an odd recipe for happiness, but, for me, The Rose Garden Husband was a particularly good choice of novel to read on a fine day in this first of June, with my roses blooming abundantly in the garden. The novel of choice having been written in 1915, it also had fair chance of being endowed with a fairytale happy ending. And that also sounded very nice. The book was a recent gift to me from a sweet friend who knows I like ‘old books and obscure authors’. 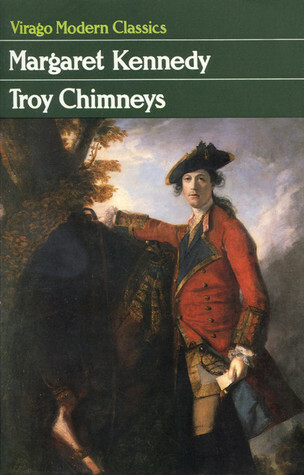 And indeed, this writer is new to me, but I was delighted to see some lovely reviews of her work online. Margaret Widdemer was prolific in output. 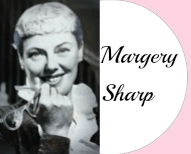 Her writing career spanned from 1915 to 1968 (or so), and during this period she produced a whopping forty novels, plus many other works such as poetry (winning an early Pulitzer Prize), children’s stories, and essays. 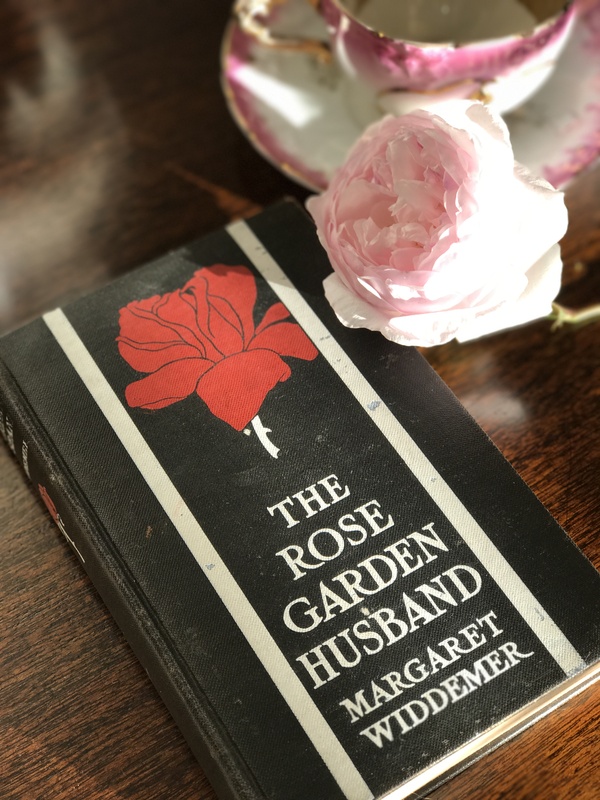 The Rose Garden Husband, published in 1915, was her first novel, and it continues to be a fan favorite. Just say ‘Victorian era romance’, and it might bring to mind selfless heroines who go into declines, a room stuffed with horsehair sofas and stiff conversation, and, oh yes, maudlin sentiment. Widdemer’s novel brings some fresh air to this genre, and while the ending is predictable and a bit neatly packaged, it still delivers on charm and surprisingly humorous narrative. The heroine is every bit as selfless and full of New England backbone as we might have foreseen, but she is also energetic, witty, and comes with a few surprises. I liked this character a great deal, particularly when I read her list of things she wanted. I took a picture of the page (my copy is a 1915 reprint) because I was charmed by the neat little notes a former reader had written in to accompany the list. Likely the same former reader who had written her name ‘Harriet Rose’ in the flyleaf. Obviously, a desire for jewelry, poetry, and a plethora of shoes will charm ladies of any generation. Phyllis’ wish for ‘Ever so many Maxfield Parrish pictures full of Prussian blue skies’, and ‘A room big enough to put all father’s books up’ resonated with me. Phyllis Harrington gets all this and more, though in the beginning she had only wished for a rose garden with a gentleman husband she wouldn’t have to ‘have any association with’. This sweet story is all about wish fulfillment, but there is an amusing curiosity not lost on the modern reader. Volumes of feminist erudition have been written on the plight of a young woman’s prospects in the fiction of Jane Austen and others of her era and beyond. To marry was a career move, and often the only way to advance in one’s life. Margaret Widdemer puts it baldly in this story, and in more modern terms—Marriage is a job opportunity. In the narrative, Phyllis has resigned herself to becoming a careworn spinster. Although she loves her career as a librarian, she has no time for social outings or opportunities to meet men. She also sees no way out of her constrained circumstances in life. “I’m just a battered bisque doll!” she repeated to herself, bitterly. A visit from a lawyer friend, Mr. De Guenther, sets the stage for a surprising offer for Phyllis. The Different Line of Work, as Phyllis comes to realize, is a proposition of marriage from a future-mother-in-law, who is dying. The marriage, as old Mrs. Harrington hopes, will secure the compassionate care of her invalid son after she is gone. Phyllis may have only five or so years of ‘work’, supervising Allan Harrington’s care; then, it being likely he will die by that time, Phyllis will inherit the plump retirement of his entire fortune. From rags to riches, from spinster to bride. From tweeds to satin, from sturdy librarian’s brogues to satin slippers. A career move, indeed. Phyllis—a practical girl who is organized and makes lists—has few reservations. Likely she will need to interact with him very little, he has a fleet of servants and caregivers; her only responsibility is to see that they all do their job. Her career as the serious Miss Braithwaite, “Assistant for the Children’s Department, Greenway Branch, City Public Library“, with a background as manager of the Circulation and Cataloguing Departments, has equipped her admirably for this job. And what of Allan Harrington, the invalid with a death wish who is about to become the hero of the story? Ah, we get it. His paralysis isn’t an inability to walk. He just has no incentive. He wants to die. But Allan is about to meet his new incentive, and find his ‘powers of locomotion’ are capable of being revived. In spite of his obvious invalidism and tremulous voice, Phyllis finds him quite beautiful as a man. Oh, yes. Phyllis has plans. Plans that involve ‘a heavenly white crepe thing’. Her dream of a rose garden is about to come true, but that dream of ‘a husband whom she “didn’t have to associate with much”—? Dashed forever. Oh yes, good things happen in this story. Good things delightfully told. Many of Margaret Widdemer’s books are available as ebooks, or can be read online. Other than that, I don’t know if she is actually ‘in print’, except perhaps print on demand copies. I can only add to that it is nice to read a book that highlights unselfishness and kindness in people. Whew – for a moment I thought my pic was in this morning’s blog. lol. Love you. Thank you for such a wonderful reminder of a book I loved. So glad you enjoyed it, too!